This all started with filler putty. As a long-time user of Squadron putty (of both kinds), I have been loyal to the product, and have gone through several tubes of the green version. I have liked it and relied on it. 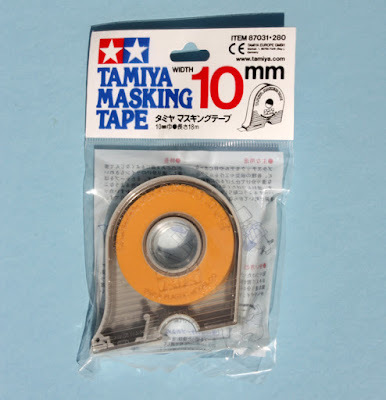 But a friend who is a plastic modeler (non-railroad models) recently stated to me that he thought the Tamiya gray putty was finer grained, or smoother, or something like that, and it filled gaps better, especially small or narrow gaps. I decided to give it a try. I’m mentioning hobby shops. You can of course buy Tamiya products on-line, but I urge you to resist the temptation unless your “local” hobby shop is many miles away. Or someday that local hobby shop won’t be there. I bought a tube of the gray putty, in the package as shown below. As soon as I used it, I liked it a lot. It was everything my plastic modeler friend had claimed. I still have my most recent tube of Squadron Green on the bench, but . . .
Tamiya are also a source of a superb masking tape for modeling. 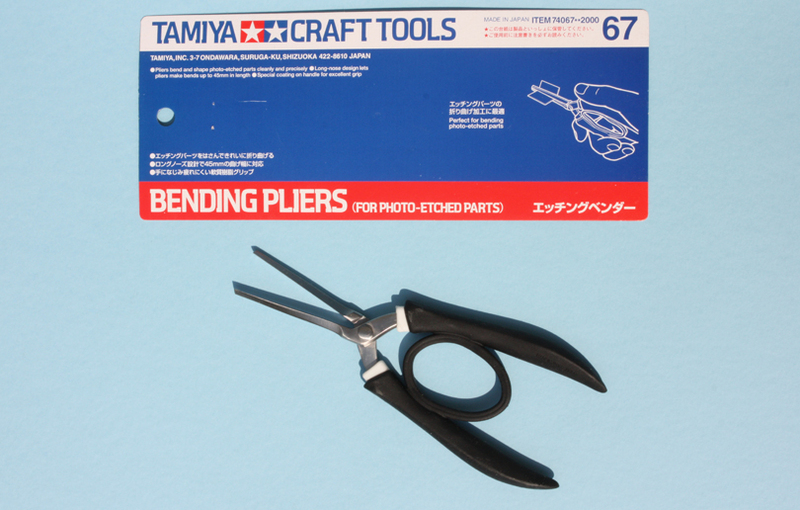 I have used it, and found it really ideal for flexibility around corners and edging up to details. I’ve been using it for awhile, and this new package is about my fourth roll. Note that it comes in a nice dispenser. They also offer brushes to go along with the paints, and several tools of specialized use. For example, there is a really nice tool for bending etched metal parts, a type of detail part which we railroad modelers have in common with both airplane and armor modelers. The jaws have a triangular cross-section, and thus are considerably stiffer than you might guess from looking at how long and slender they appear. I have used these very successfully. Oh, and did I mention paint? Comes in bottles, solvent based but water clean-up, and in spray cans too. Rattle cans have a bad rep, but Tamiya spends a little more money to give you a much better spray nozzle. I have never had the burps or blorts that are familiar from Testors products or, for that matter, the spray paint you get at big-box stores. Shown below is their outstanding thin-coat primer, that has become my standard for priming anything. Incidentally, I included at right a can of Tamiya color TS-1, called “Red Brown,” and it’s a pretty decent box car red, though doubtless intended to match some other color. Let me close by saying that I suppose it’s obvious, but this is a Japanese company, founded in 1946 to make wooden models, and changing over to plastic in the 1950s (you can read more of their history on Wikipedia, at this link: https://en.wikipedia.org/wiki/Tamiya_Corporation ). They are perennial winners of “Model of the Year” awards from model magazines in a number of countries. Their reputation for quality is enviable. Well, I sound like a Tamiya sales guy here, but I have absolutely no connection of any kind with them. Just a truly satisfied user of everything I’ve bought with their name on it. And of course, that means I am ready to trust one of their products I’ve never used before. I know their quality by experience. I also recommend Tamiya TS-33, "Dull Red" for boxcars; it's more reddish than TS-1. However, as both TS-1 and TS-33 bring matt finish, polishing the surface with a polishing compound is recommended before applying the decal. 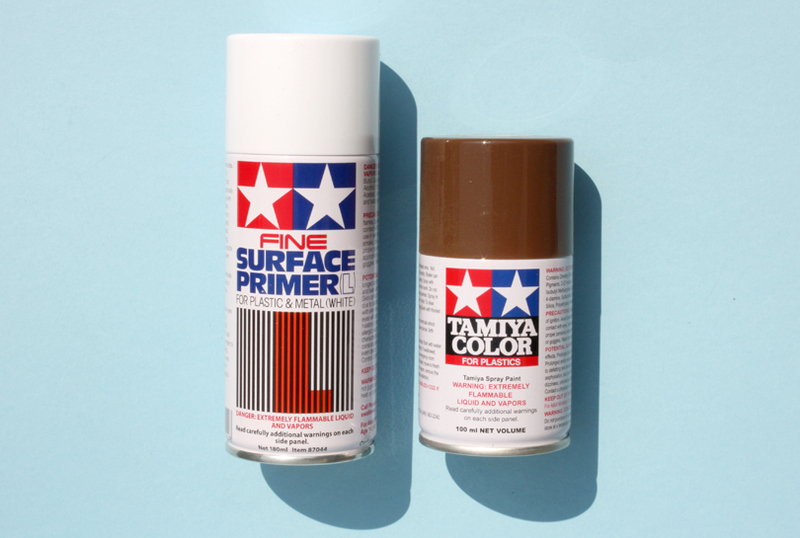 Tamiya did some compounds but, unfortunately, they are discontinued. Applying Tamiya TS-79, "Semi Gloss Clear", or TS-80, "Flat Clear" overall the model finally eliminate the edge of the decal. Did'nt mean to suggest that TS-1 is a "best choice," only that it's a useful color. I wanted to include one paint alongside the primer. I use Tamiya XF-64, "Red Brown" in acrylic, to paint rail as a substitute for Floquil Rail Brown. And you're correct that their ultra-fine spray primers are the best.